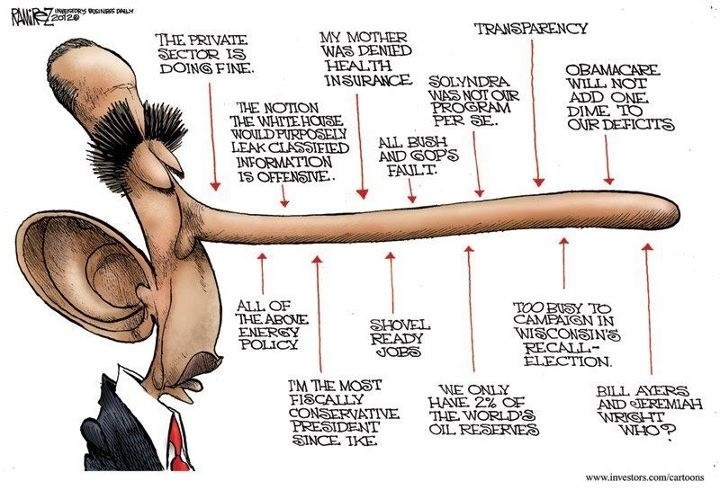 With five months to go the Obama deceit machine is running full steam. Yesterday he called a press conference about his jobs bill and conveniently forgot to mention that the Conservative House has brought forward numerous jobs bills that the Obama controlled Senate refused to hear or vote on. 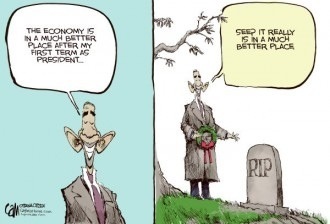 Then, he proudly announced that our economy has improved since he took office! Wow ..,., what a whopper! This entry was posted in Politics and tagged Obama, untruthful. Bookmark the permalink.